Trained in a competitive environment which offers them a basis for professional development, students are at the core of the academic activity and contribute to a great extent to creating the image of the National University of Political and Administrative Studies (SNSPA). SNSPA is a university where the teaching and learning process is student- and result- oriented. 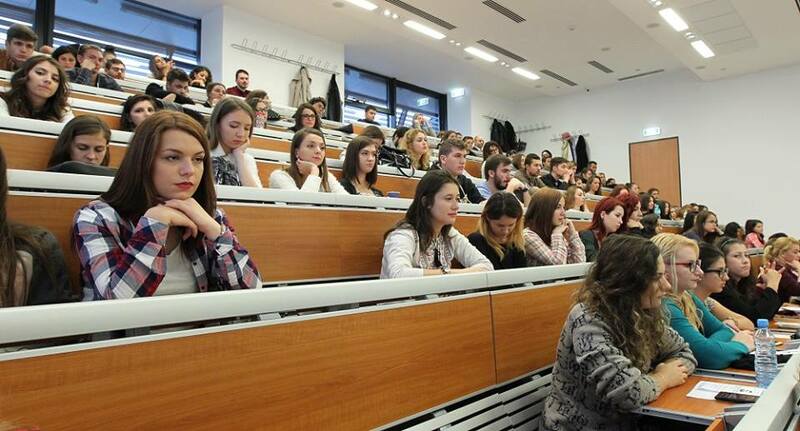 SNSPA encourages and supports the development of specific skills in order to enable the students’ access to the labour market, the permanent dialogue with the students, the students’ involvement in projects, in administrative activities and in solving the problems of the academic community. SNSPA awards prizes to first-class students and organises cultural activities for the students.